Ms. Rebecca Treston has moved to Dubai in 1999 after the completion of her qualifications in lasers and beauty therapy. Also, she has worked for a few months in the aesthetics sector of the UK before moving to Dubai. 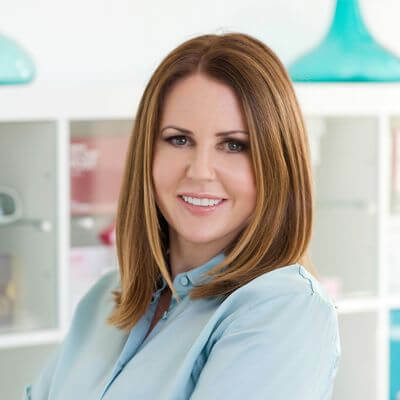 She has always revealed her commitment to helping people in maintaining the health of their skin and achieving their goals of having rejuvenated skin. Her clients have successfully overcome their body & skin imperfections. Until now, she has successfully delivered their desired appearance through clinical skin care products and aesthetic treatments. She always stays informed to the latest advancements in medical & technology. The reputation of both her and the clients is important for her. This is the reason she gives an outstanding performance. She never lets anything bad to happen to your skin and body. She has managed to serve her remarkable services as the most trusted and committed aesthetician in the United Arab Emirates. Her illustrious career, hard work, and commitment is the key to success. She has always served a crucial role in the dermatology department at Dubai Cosmetic Surgery. She has always done her job with passion and real strength. She always would like to see smiles on the faces of her patients that they get through her treatment. She is working very hard to make it available for all to get their desired anti-aging skin and beauty. The menu of our clinic contains treatments that are suitable for all. Also, these treatment procedures are managed by taking your budget into consideration. Have a look at these treatments! Rebecca is serving her duties for more than 10 years in Dubai. She has endorsed a number of awards and has various academic memberships. She serves as a member of the American Academy of Anti-Aging. She is working as a licensed laser specialist & aesthetician. She has knowledge & experience in performing various latest procedures. She can deal with different skin conditions and complaints. Also, she has endorsed NVQ level 3 in Beauty Therapy NVQ Level 3 is an advanced level of Beauty Therapy in the United Kingdom.